TwitterNorth Korea recently gave the US a dog tag of a Korean War soldier along with 55 remains. The Pentagon on Wednesday gave the sons of a Korean War soldier their father’s dog tag, which was given to the US by North Korea along with 55 sets of remains that potentially belong to other US soldiers killed during the conflict. North Korea returned the remains as part of an agreement signed by President Donald Trump and North Korean leader Kim Jong Un during a June summit between the two leaders in Singapore. The dog tag belonged to Master Sgt. Charles Hobert McDaniel. McDaniel’s dog tag was the only one returned with the 55 sets of remains, but it does not guarantee Master Sgt. McDaniel’s remains are among those repatriated to the US. The Pentagon on Wednesday gave the sons of a Korean War soldier their father’s dog tag, which was delivered to the US by North Korea, along with 55 sets of remains that potentially belong to other US soldiers killed during the conflict. The dog tag belonged to Master Sgt. Charles Hobert McDaniel, a US Army medic from Indiana, The Hill reports. 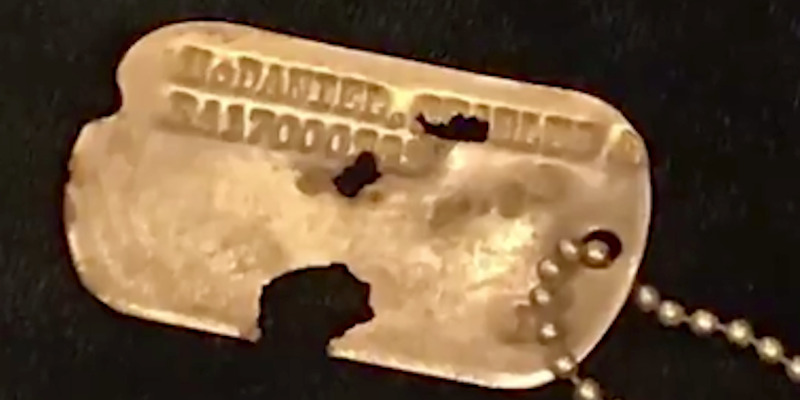 McDaniel’s sons, Charles McDaniel Jr. and Larry McDaniel, received their father’s dog tag at a press conference in Arlington, Virginia. Charles said he was “overwhelmed” with emotion when he learned his father’s dog tag was found and was to be returned to the family. The remains are currently being analysed in a lab in Hawaii, and it will take some time to identify. Larry, who was too young when his father went off to war to remember him, did a DNA swab test at the end of Wednesday’s press conference to help determine if his father’s remains were among those returned. Master Sgt. McDaniel, who was part of the 8th Cavalry Regiment’s Medical Company, was reportedly killed in October 1950 amid a surprise attack by Chinese forces. The Department of Defence estimates that roughly 7,700 US soldiers did not return home when the Korean War ended via an armistice in 1953.